Log Cabin Architect / Designer - Make sure you find a good one! “An Experienced Log Cabin Architect or Designer is an Absolute Must! 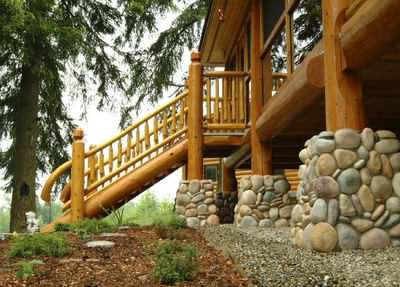 A good log cabin architect or designer is hard to find, but they will be key to any successful custom log cabin project! Log cabins are unique and their design principles must be followed effectively by your architect/designer! Do not assume any standard architect can make a decent log cabin designer. Frankly I would go as far as saying unless they have undertaken log cabin design work before, do not use them at all! It is also useful to have a designer or architect who understand timber frame design too, but as this is a more widely used construction method, this would normally be the case. However someone who is only experienced in timber frame, is not properly qualified to design log buildings! Log Cabin Architect versus Designer? What is the difference between a designer and a log cabin architect? Well an architect should have an official architectual qualification and should have a current license with that official association. Does it means they are better? Not necessarily! A good basic knowledge and understanding of log buildings is by far the most important factor here. Most architects will be trained on conventional building methods rather than log cabins, as log buildings are relatively rare in many countries. A good log cabin architect should hopefully do a professional job, but a decent log cabin designer can often do similar work for a lot less money. At the end of the day you pay your money and take your choice, but experience in designing log buildings is vital, as we will discuss in the next section. However eloquently an architect can talk about designs, there is absolutely no substitute for experience when it comes down to finding the right log cabin architect or designer. Many people learn most through experience and most novices don’t understand that log buildings can not be designed in the same way as other types of construction. You do not want to find out the hard way that your architect didn’t appreciate that log cabins settle over time for example! The real test of time is how a log cabin looks not on initial completion, but several years on. Inherent design flaws do not always manifest themselves right away, but can become apparent over months and years. A defective design can ultimately lead to serious structural design issues! Make sure you choose your log cabin architect wisely! A key to any successful design partnership is finding someone who understands your needs. A good designer or log cabin architect should be able to interpret your requirements accurately, providing you give them enough details. There may be stock or standard existing designs which are just what you are looking for and this can help keep costs down! However do not compromise on your design, by going for a stock design, if it doesn’t achieve your ultimate goals and dreams. After all is it worth saving a small amount of money and but not getting what you really wanted? There is also something quite special about getting a unique design, which you have helped to create and which no one else has! Now it is all very well having a fantastic log cabin design, but it most also meet with the approval of your local planning or developments permits, as well as complying with the latest building permits or regulations. Make sure that the log cabin architect you choose, it right up to speed with these regulations. 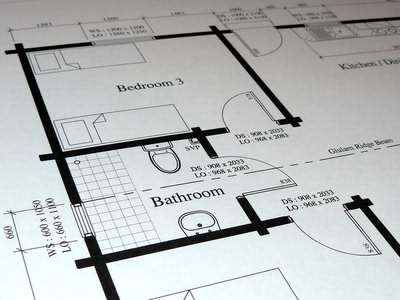 Ideally try and find out what their success rate is for development and building permits. A good architect or designer, who understands these issues well, should have a very high pass rate on first time applications. Part of an architects brief is to understand their clients wishes on choice of materials and also have a good handle on overall project costs. Fancy designs can often look very impressive, but generally their cost per unit floor area is usually significantly higher. It is a good idea if your designer or architect has an idea of the type of budget you are working to, so they can steer the design in the right direction. This means balancing a design between design features and space, with project costs and materials choices. An architect who has good material estimating abilities will be well placed to help you achieve the right result at the right price! Creating specifications and design features which are sympathetic to a log cabin is important. Many log cabins (especially in North America) are very rustic and this look can be enhanced by intelligent design. A good designer or architect will have experience and understand how this can be achieved, and can turn a merely average log cabin into a very special one! Log cabins are also very “green” structures and this can be enhanced by the use of good design. Whilst many log cabin compare very well with conventional buildings, clever design can make them even better! Lastly, but by no means least, good communication is crucial when choosing your log cabin architect or designer. You need a designer or architect who not only can articulate well face to face, but who will communicate readily and offer good support when you need it. Chasing someone who will not respond is not a situation you want to be in. You ideally want someone who responds quickly to you and gives you the time you need. Whether they communicate over the phone, by email or other electronic means, matter less than the fact they can easily be contacted or respond promptly to your questions. On the other hand also do not constantly bombard your architect with hundreds of questions, they are often busy people and will probably look after you best if you try to resist the urge to question every little thing. Try to communicate clearly and decisively and don’t change your mind all the time. Remember communication works both ways! Want to contact an experienced log cabin designer?